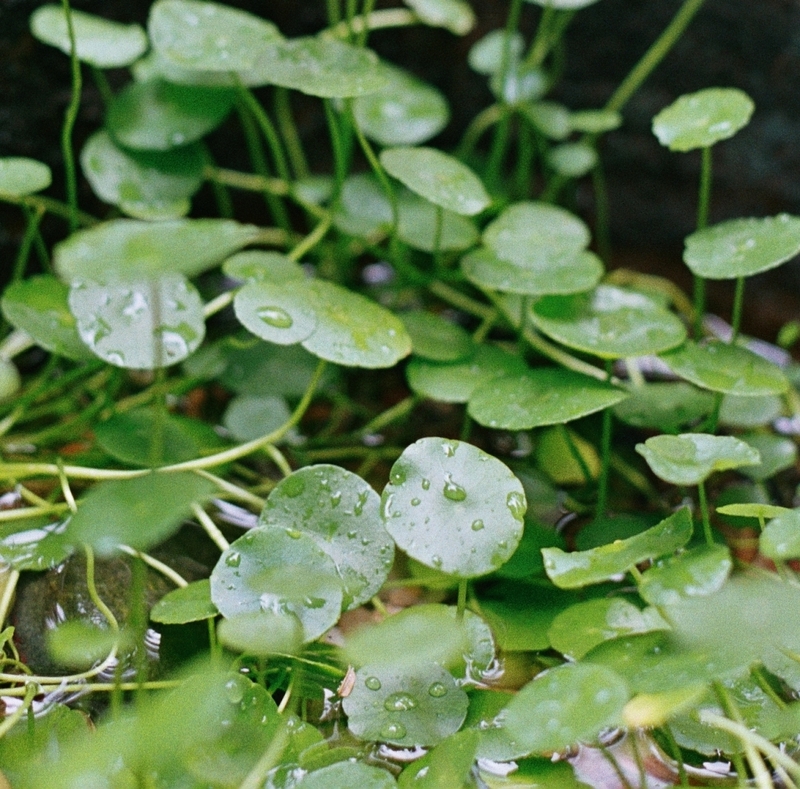 The Gotu Kola has slender stems and a leaf that looks a little like one part of a three-leaf clover. It looks more salad decoration that ancient medicine but indeed that's what it is in India and South East Asia. If you believe the Chinese myth of longevity of Tai Chi Chuan, Gotu Kola helped master Li Ching-Yun live to be 256. Another folklore from Sri Lanka tells the story of King Aruna who claimed that Gotu Kola gave him enough stamina to satisfy 50 women. But there is more than meets the eye behind these old tales. Today, Gotu Kola is used in a whole number of therapeutic medicines and natural products but it may appear as one of many names on an ingredients lists. For example Centella asiatica, Asiatic Pennywort, Indian Pennywort, Luei Gong Gen, Takip-kohol, Antanan, Pegagan, Pegaga, vallaarai, Kula kud, Bai Bua Bok, Brahmi, Bemgsag, Brahma manduki, Ondelaga, Khulakhudi, Mandukaparni, Thankuni, rau má, Manimuni, and Saraswathi Plant. It's many names may give some indication of how useful this plant is in the eyes of many number of cultures in Asia. But it gets it's common name, Gotu Kola from the Sri Lankens - in Sinhalese ‘Gotu' means conical shape and ‘Kola' means leaf. Used as medicinal herb in Ayurvedic medicine and traditional Chinese medicine Gotu Kola is believed to help memory, energy, nutrition, strength, sharpness and immunity. It is antibacterial, anti-viral, anti-inflammatory, a cerebral tonic, a circulatory stimulant and a diuretic. Gotu Kola also a mild adaptogen, which is natural herb that increases the body's resistance to stress, trauma, anxiety and fatigue. Scientific studies have proven it to improve mental ability and memory. It is said to re-vitalize the brain and nervous system, increase concentration and increase attention span. As a topical treatment it has been used in leprosy cases for it's wound healing properties. It helps scars to heal by stimulating the production of type 1 collagen in the skin. Gotu Kola shows results in decreasing inflammation and myofibroblast (Connective tissue cells that are important in normal wound-repair responses) production. On top of these skin healing properties it's antioxidant property explains why it is uses to combat aging. Be it infused in hot water as a tea, added raw to salads or mixed in to your common natural beauty products, Gotu Kola can give you a lift - on the inside or out. Neal's Yard Remedies uses Gotu Kola in a number of their products including Mahonia Clear Skin Gel, Frankincense Toning Body Cream and Rejuvenating Frankincense Serum.